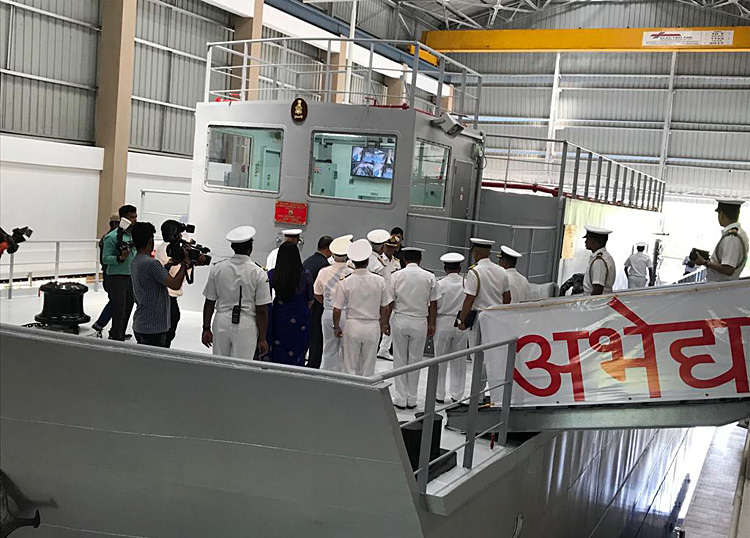 Admiral Sunil Lanba, PVSM AVSM ADC, Chief of the Naval Staff commissioned a state of the art "Nuclear, Biological, Chemical Training Facility - ABHEDYA", at INS Shivaji, Lonavla today. The ceremony was attended by a host of dignitaries including VAdm AK Chawla, FOC-in-C Southern Naval Command, VAdm GS Pabby, Chief of Materiel &Cmde BB Nagpal CMD, GSL. M/s. GSL had signed the contract with Indian Navy for construction of NBCTF on 31 Mar 2016. In line with its tradition of delivering projects ahead of schedule, GSL has handed over the facility to Indian Navy on 28 Sep 2018, well ahead of schedule. 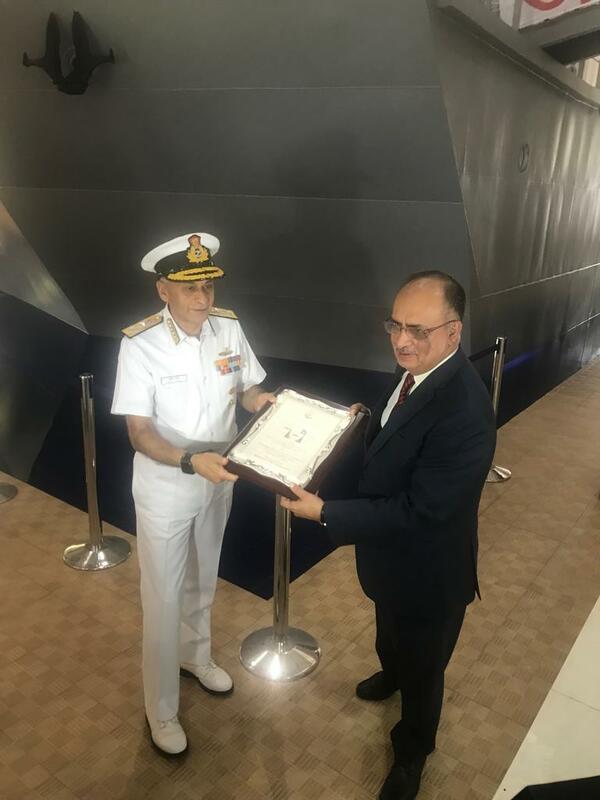 Cmde BB Nagpal CMD GSL stated "The timely completion of this Project is a reflection of the superior technical design and execution abilities of the Indian Navy and Goa Shipyard Limited. 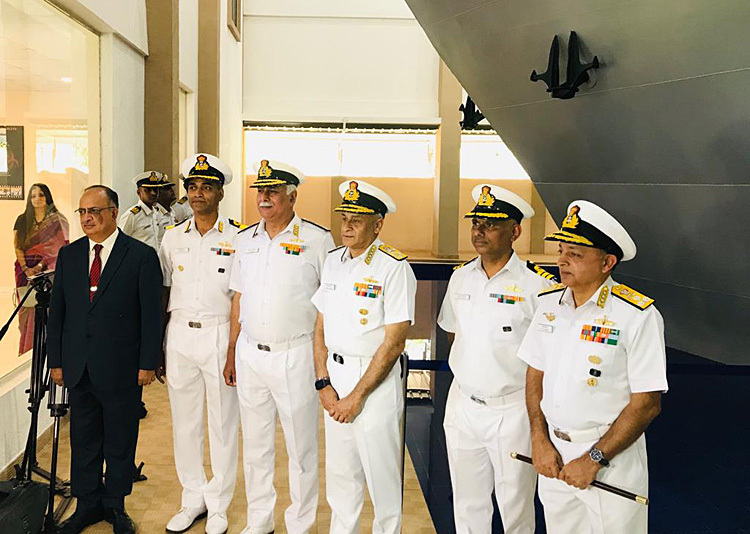 This unique facility will assist Indian Navy in providing realistic simulation of Nuclear, Chemical & Biological warfare to its personnel during their NBC damage control training, which till now was limited to theoretical training largely." The steel structure of the simulator represents the relevant NBC compartment of the ship such as upper decks, citadels, cleansing stations, DCHQ, etc. The upper deck compartment is equipped with live agents along with NBC equipment such as SIRS, SICADS and other NBC detection and monitoring equipment. The trainees will have to detect, monitor, survey and decontaminate the areas using actual NBC equipment, providing real time NBC scenarios.